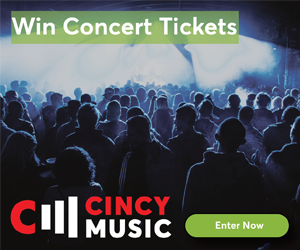 The Cincinnati Memorial Hall Society presents an all-star line-up of nationally recognized performers and bands in a variety of contemporary music genres at historic Memorial Hall. Launched in early 2017 and showcasing Grammy Award-winning performers and bands, the annual Series is quickly becoming an important part of Cincinnati’s entertainment calendar. 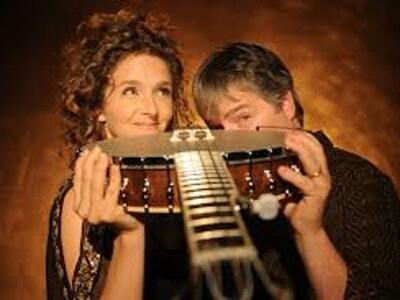 BELA FLECK & ABIGAIL WASHBURN, “the king and queen of the banjo” (Paste Magazine), have a musical partnership like no other. 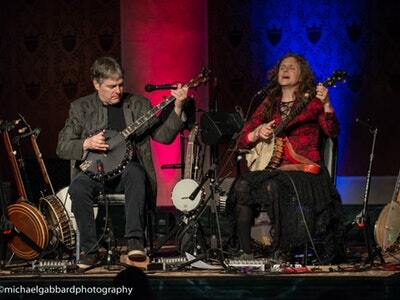 Béla Fleck is a sixteen-time Grammy Award winner who has taken the instrument across multiple genres, and Abigail Washburn a singer-songwriter and clawhammer banjo player who re-radicalized it by combining it with Far East culture and sounds. On April 2 the duo will perform pieces from their Grammy-winning (“Best Folk Album”) self-titled debut as well as their new record, Echo in the Valley. This concert is sponsored by Bartlett Wealth Management. LUCIUSto perform an intimate, acoustic concert on May 1 with special guest Pure Bathing Culture. Fronted by the sleek and compelling look-alike duo of Jess Wolfe and Holly Laessig, Lucius has sold out shows across the world, big and small. The critically acclaimed band has shared the stage with a variety of renowned musicians including Roger Waters, Jack White, Mavis Staples, Jeff Tweedy, Sara Bareilles, Tegan and Sara, and David Byrne. A versatile singer-songwriter, guitarist, Rock and Roll Hall of Famer, and Grammy nominee, NILS LOFGRENis a member of Bruce Springsteen's E Street Band and has toured with Neil Young's Crazy Horse and Ringo Starr's All- Starr Band. Nils hits the road this May with an all-new hard-hitting studio album featuring a dozen dazzling, forceful songs and first band tour in over 15 years. 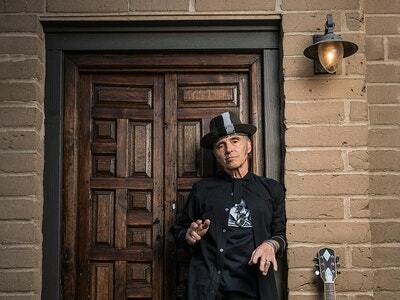 The Nils Lofgren Band show on May 15 will include tracks from his new album Blue With Lou, co-written with Lou Reed. 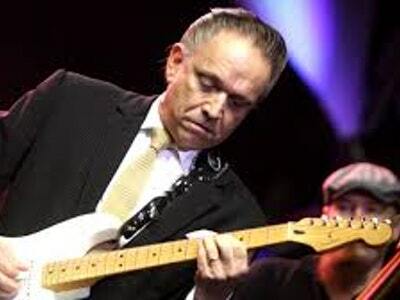 JIMMIE VAUGHAN, four-time Grammy Award winner and one of the greatest and most respected guitarists in the world of popular music, to perform with his band on June 27. As Guitar Player magazine notes, “He is a virtual deity--a living legend.” Since releasing his first solo album in 1994, he has set the standard for quality modern roots music, from spearheading the current blues revival with The Fabulous Thunderbirds to his longtime, innate fashion sense of slicked-back hair and sharp vintage threads. 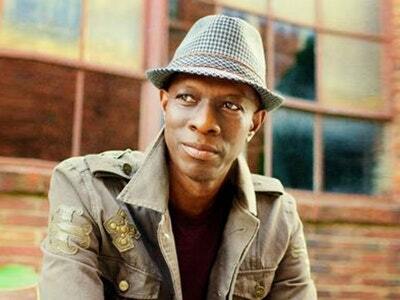 KEB' MO', a musical force who defies typical genre labels, to perform an intimate, acoustic concert on September 15. Album after album, 14 in total, garnered Keb’ four Grammy awards and a producer/engineer/artist Grammy Certificate. He has received 11 Grammy nominations in total, and been awarded 11 Blues Foundation Awards and six BMI Awards for his work in TV and film. 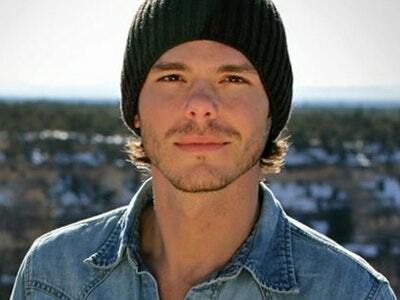 Over the past two decades, he has cultivated a reputation as a modern master of American roots music through the understated excellence of his live and studio performances. All shows include pre-concert receptions from 6:30-8:00 p.m. with live performances by local musicians and complimentary light bites & beverage tastings (cash bar). The receptions honor the “Friends & Founders” who have helped establish the Longworth-Anderson Series as an important new addition to Cincinnati's entertainment calendar.